What Is Snoring Surgery and What Should You Expect? There are several different forms of treatment for Obstructive Sleep Apnea. Continuous Positive Airway Pressure(CPAP) is by far the most common and most effective treatment. That is something that is not disputed by nearly anyone in the medical community. There is also a new treatment that is gaining momentum and it is known as a minimally invasive procedure. Please notice how the term surgery is not part of that description. This is usually performed however by an Ear Nose and Throat(ENT) doctor. Most of the time, this type of treatment is something that takes place in a medical office and patients always are able to walk out after under their own power. What happens during this type of procedure is there are lasers and radio frequencies which can help to reduce tissue within a persons airway. 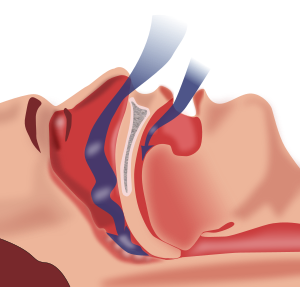 This reduction in tissue opens up the airway so snoring can be avoided during the night. Sometimes, patients who receive this type of treatment will need to have a follow up procedure to remove some more parts of the airway, but again, this is a very pain-free type of treatment. If anybody is interested in this simple procedure to get rid of snoring without having to wear a CPAP machine, you should first consult with your primary care doctor. Your medical provider might be able to refer you to someone who is an expert in this type of treatment. Be very wary of a general surgeon who claims to be an expert in this type of thing. You are dealing with your airway after all and you definitely don’t want someone to be working on you who is not qualified.